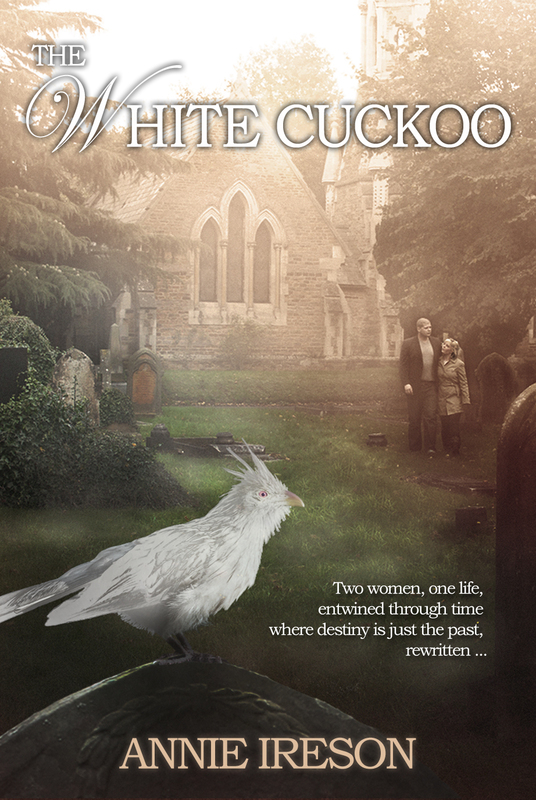 Once home from my day trip to London, I set about plotting The White Cuckoo, to which I gave the working title “Going Back”. When writing a novel, I write a list of potential titles in a notebook and don’t choose one until I feel I have come up with the best title possible. Some writers don’t bother too much with titles because quite often it will be changed during the publication process. For me, the lesson was learned with “Sunlight on Broken Glass”, which was the original title of the novel I had abandoned. This ended up being the title of the first book in my family saga trilogy. Through the eavesdropped conversation in the queue for the restaurant in the Natural History Museum I already had a basic plot for my new novel scribbled in my notebook: all I needed to do was add a couple of sub-plots. When I plot a story or a novel, I use a mixture of mind-mapping and then expand each plot-line with a detailed decision tree. 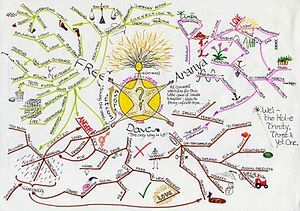 The mind map will have the main plot at its centre, and then the characters and sub-plots appropriately interlinked to give a diagrammatic view of the entire novel. The associated decision trees help me to decide what will happen in each sub-plot, and the eventual ending. Well – that’s the plan, anyway. Usually, when I start writing, the book somehow writes itself and my characters do stuff that is completely out of character and generally don’t behave how I want them to – which is always a problem. Tom (in Sunlight on Broken Glass) was really hard to handle. He quite frequently went off and did some pretty horrendous things behind everyone’s back, which completely messed up my plot, but there was nothing I could do to stop him. He really did seem to have a mind of his own! I used Tom as my character in a blog takeover day (just click on the link if you would like to read it). Poor Tom, his nasty experience at sixteen really did affect him for the rest of his life! Some months previously I had drawn up a character profile for Tamasyn Hargreaves, and given her a name. She was the main character in the novel I had previously started and then abandoned. I liked Tammy, but in the old novel she wasn’t strong enough to drive the plot forward. 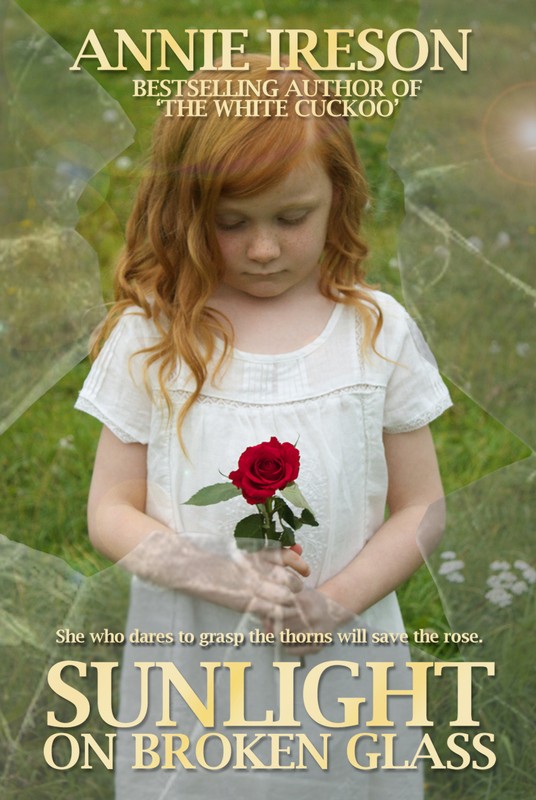 I felt instinctively that, by giving her a personal dilemma to grapple with, it would drive her forward, bring her out of her shell and make her a stronger person by the end of the novel as she became more self-assured and confident. Through their dialogue and actions, the people in a story somehow magically breathe a life force into the plot and give it the legs to run with. Don’t ask me how this happens, but it does. Time after time I have seen a dull, uninspiring story I have half-heartedly started to write be jump-started into glorious technicolour by a couple of lines of dialogue and associated body language. Description gives a sense of place and time, but it’s the things characters do and say that make a story three-dimensional instead two-dimensional. After revisiting the character profile for Tammy, which I had filed away a year or so previously, I realised it was too skimpy – only a couple of sides handwritten on A4 lined paper. Reading through my notes, it seemed like Tammy was a mere associate. It was as if she was a young woman I said hello to in the corridor at work, or someone I occasionally shared a few minutes of conversation with in the canteen: an acquaintance and nothing more. I chuckled to myself because I knew I had just discovered the reason why the abandoned novel had fizzled out after only 30k words. If I was going to write this new novel, I needed Tammy to become like a daughter to me. I needed to know everything about her – her hopes, aspirations, fears and phobias. I had to know her parents, her worst moments in her schooldays, the job she did, her shortcomings and strengths and a host of other snippets of information about her. Creating characters isn’t easy, and, as I embarked on the first stages of planning the novel that was to become The White Cuckoo, I knew had just learned a harsh lesson – I had not done enough work on Tammy in the first place, and the novel that had exhausted itself and fallen to its knees after only 30k words was my fault – not Tammy’s. During December 2008 I spent all my writing time re-creating the character of Tamasyn Hargreaves (known as Tammy, apart from when Alan, her father, is annoyed with her), and as I did so, the other characters in the novel began to elbow their way in. By January, I had a whole cast of characters and had built up their personal profiles and physical attributes. I felt as if they were all waiting in the wings ready to go on stage. Next week’s instalment (8th June), will go slightly off-piste for a while, and I’ll tell you why, at the beginning of 2009, I almost gave up writing for good. ← Chapter 3: What is a Family? I love mind maps. I’ve got them coming out of my ears. Or is that just my mind?